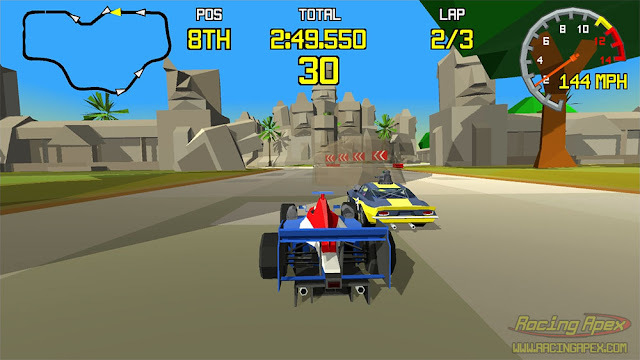 Indie Retro News: Racing Apex - Could this be the next Virtua Racing game? 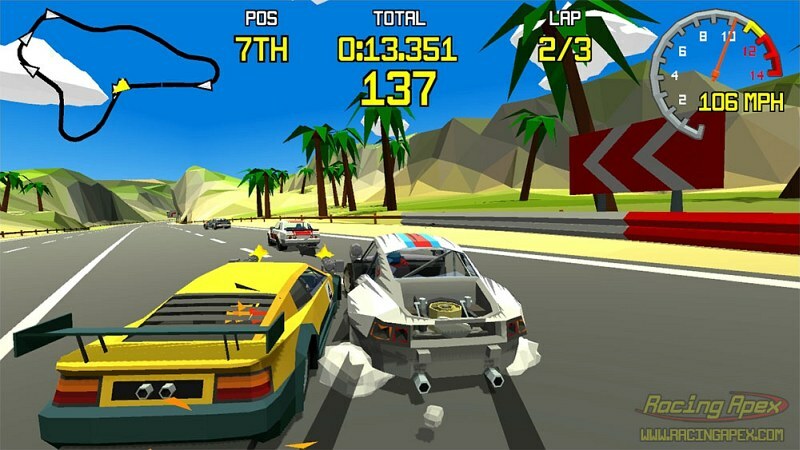 Racing Apex - Could this be the next Virtua Racing game? If your gaming youth goes back to the 90's, I'm sure you'll remember the high speed 3D Polygonal racer called ' Virtua Racing '. Which had its roots at the Arcades and was later ported to home systems such as the Sega Megadrive 32X by SEGA. But there is a new retro inspired game that has appeared, titled ' Racing Apex ' by Lucky Mountain Games, which aims to bring the best of that awesome racer but adding in modern gameplay elements such as combat and multiplayer chaos. Using the Unity engine, and in development for PC, Mac and Linux, ' Racing Apex ' certainly looks like it could be as good as Virtua Racing, especially in art style and game play. It will also have over 30 vehicles, over 16 circuits to race on, a range of weapons, online leader boards, many different game modes, vehicle damage and car customization. But with all that said, the only thing that concerns me from the video above, is the low frame rates as it doesn't look very smooth. So let's hope that gets fixed when the game is made available at some point this year.